Mycorrhizal fungi forms association with a lot of plant roots and studies have shown that they help plant nutrient and water uptake as well as help in increased pathogen and disease resistance. Mycorrhizal fungi (or MF) can be applied to plants where soil conditions are poor (ectomycorrhizal) or where there is a high risk of plant pathogens usually associated with vegetables and ornamental plants (AMF) or phytobial remediation of land. AM fungi esp glomus spp. are also used as bio-ameliorators of saline soils. 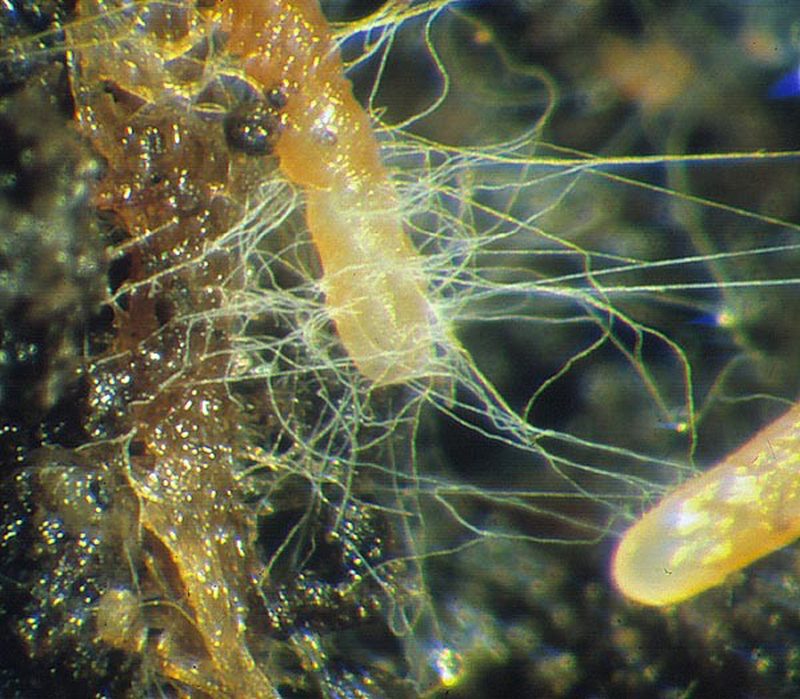 Despite these immense benefits, Mycorrhizal fungi has not been widely used successfully on a global scale even with widespread public concern about the use of pesticides and other chemical agents. A major dogma often heard by some scientists and widely published are: MF’s are less effective and reliable than chemical pesticides, MF’s can’t control pathogens over a long period of time, MF’s can’t be used in diverse environments and can’t be effective in disease control of mature crops, too many products would be needed for varying and diverse disease control,and products can’t be region specific. Moreover, public view about the efficacy and perceived need for the use of MF’s is very low. All of this negative information are transfused to the general public and to farmers and this has made an over-dependence on the use of chemical pesticides and excessive use of fertilizers. The availability of many chemicals for seed protection, their low prices, availability and longer shelf life has further negated the widespread use of MF’s in agriculture, forestry and land reclamation. Extensive large scale field testing of the effects of MF’s has not been carried out which would give a clear picture of MF potential and clear every doubt. Most facts and observations gotten from experiments are done under lab conditions (green houses) and are not particularly indicators of field environmental conditions, such results can be misleading especially when being drawn up to a larger scale. For example the fact that glomus versiforme controls root knot nematode in an experiment done using tomato grown in temperate soils wouldn’t be reflective of what would happen in tropical soils using same MF and tomato. Drawing up a conclusion of MF potential and use on a global scale with region specific results can be misleading. Conflicting researches for and against the commercial exploitation of MF is an issue as well. In forestry effects of (ecto MF) inoculums on tree species need a very long period of time for observation to make a conclusive and correct scientific justification to the use of MF, in most cases experiments monitor short term effects mostly period’s seedlings spend in the nursery this has also been a major barrier. There are more non-profit research institutions than companies ready to exploit and go commercial with MF products. Identification, development of strains and production of prototype inoculums are relatively easier than going commercial and are only suited to non- profit research institutions. Large scale field trials, toxicology, environmental tests and marketing are very expensive and suited to the commercial companies. Plantation economists have said often times that for inoculation technology using strains of MF in land reclamation agriculture and forestry to be popular it must be cheap and cheap is defined with reference to cost benefits, but today the cost incurred with this processes are too expensive hence products gotten would be expensive and won’t be popular amongst farmers and forest conservationists alike as compared to chemical agents for seed protection, plant growth and disease control alike. Legislation of the commercial use of MF’s by authorities are slow with regards to using naturally occurring microorganisms in biocontrol. Government frowns at the science of genetically modified products because of health risks, current regulatory policies discourage manufacturers from going into large scale production because it is time consuming, too expensive and most times prohibitive. Patents are usually guarded secrets and companies would never give them out readily making their products very expensive. Sabotage of the manufacturing of MF products by existing chemical agent companies is also an issue.